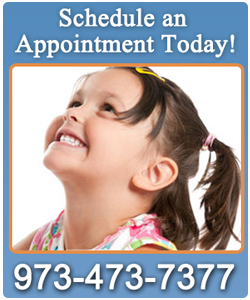 We want to help your baby's teeth grow healthy and strong. Our experienced staff will work on your baby's teeth with the utmost care and will ensure that your baby is comfortable in our office. If you are thinking about when to visit a dentist for your baby, we recommend bringing your baby in within six months after the first tooth appears. At Clifton Pediatric Dental Care, we understand how much special care infants and toddlers need to ensure that their teeth will grow healthy and strong. Decay can occur at any age, no matter how big or small the tooth, so the earlier your baby visits us, the better. We will check for any problems and give you advice on the best tooth care plan. Gums: Before your baby's first tooth even appears, his or her gums need extra attention. After bottle or breast feeding, wrap one finger in a clean, damp washcloth and gently massage your baby's gum tissue. This will help clear out any leftover food fragments and keep your baby's mouth clean and healthy. First Tooth: When the first tooth appears, it is time to get a baby toothbrush. You can choose from a brush that fits over your finger tip or a brush with a handle that you and your child can hold together. At this point, there is not yet a need for toothpaste. Just wet the brush a bit before use. Do not be discouraged if your baby does not take to the toothbrush. Go back to the washcloth method and return to the brush when your baby becomes more accustomed to it. When your child is teething, he or she will seek out anything to nibble on, presenting you with a golden opportunity to introduce the toothbrush. Introduction of Toothpaste: When a couple of more teeth join the party, it is time for toothpaste. Avoid fluoride toothpaste in the first two years, unless otherwise specified. Apply a minuscule amount of toothpaste on your child's brush. For more information about early dental care, or to schedule a visit, contact Clifton Pediatric Dental Care at 973-473-7377 today.